Ticket sales are now open for Thrapston Amateur Dramatic Society’s next production of “Just Between Ourselves” by Alan Ayckbourn. The show is directed by Connor Jeffery and will be performed at the newly refurbished Thrapston Plaza from Wednesday 20th – Saturday 23rd March 2019. Doors open at 7pm, performance starts at 7:30pm sharp. Dennis spends his spare time messing about in his untidy garage, indifferent to the fact that his wife is being driven to distraction and beyond by his possessive mother. The hidden tension and antagonisms under an apparently normal surface build up to a climax of bizarre violence and madness. TADS is sad to announce that one of it’s long standing members, Stan Haynes, died on Saturday 27th October after a long illness. Our thoughts go to his family. We at TADS would like to apologise for the lack of updates and information surrounding our recent activities. Following on from the successful audition of ‘Abigail’s Party’ at the beginning of September, we discovered we were unable to obtain a licence for the play due to a professional production touring in the near future. 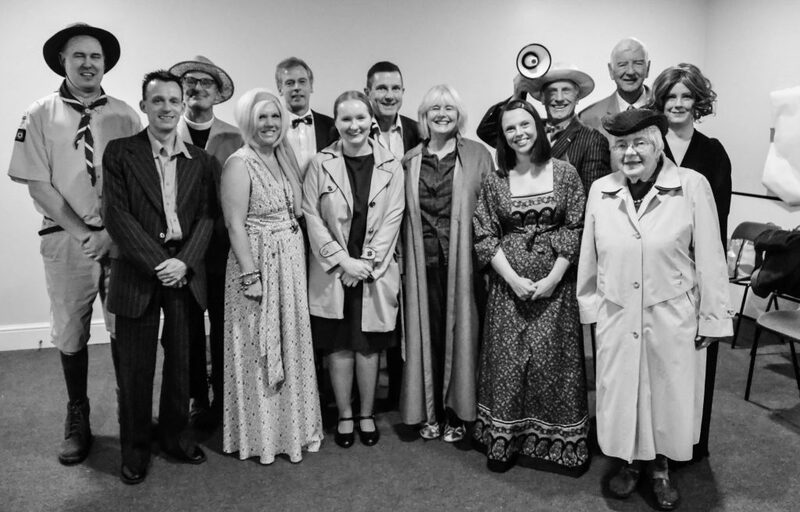 A meeting was held to consider whether we should persevere with an Autumn play, and having made the decision to do this we successfully auditioned and cast ‘Just Between Ourselves’ by Alan Ayckbourn.